1. 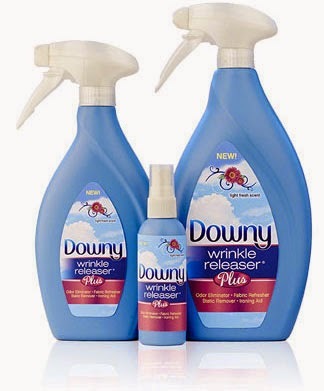 Pack Downey Wrinkle Releaser. This stuff actually works, and is great to de-wrinkle clothes after they've been packed in your suitcase. You can get Downey Wrinkle Releaser in three sizes, including one that's small and perfect for travel. It also helps eliminate odors which is a feature that can come in handy on a trip, too. 2. Bring something fun for the kids to play with that's new to them. Even if your kids usually pass the time while traveling with screens and books, it's always fun to bring along something unexpected to capture their amusement for awhile. A friend told me about surprise balls, and they are the perfect addition to a trip. 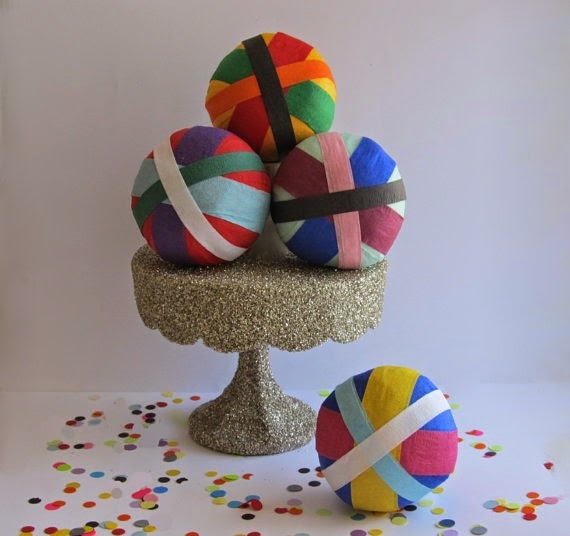 Surprise balls are filled with trinkets and candy, and kids have to peel away the layers of streamers to reveal the treats. My kids, ages 5 to 11, loved unwrapping their surprise balls. We got our from Reveries & Fancies on Etsy, and they were perfect ($8 - $18 depending on size, lots of fun designs available). 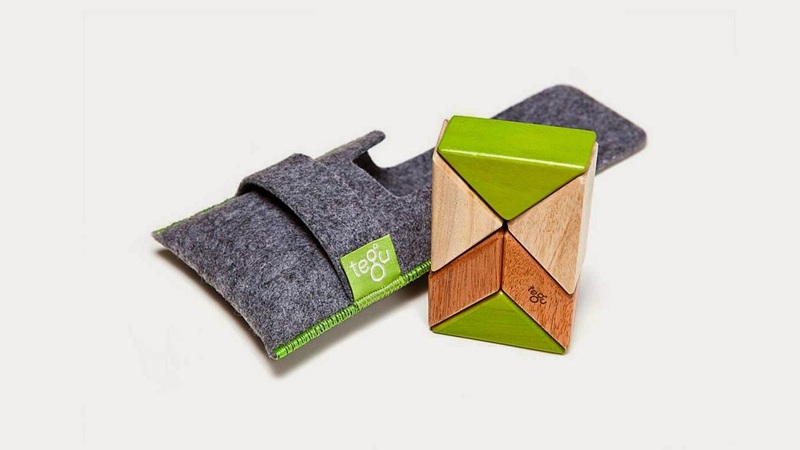 Another great pick for a travel to is the Tegu Pocket Pouch Prism ($25), which is a set of six magnetic blocks with a carrying case that is just the right size for on-the-go fun and is good for all ages. 3. Make sure your kids carry a bag. Depending on their age, this may be more for their own amusement, but as they get older you'l find that even a small bag shouldered by a kid is one less bag being shouldered by you. There are so many cute options for kids from backpacks to tiny duffel bags, to rolling suitcases. 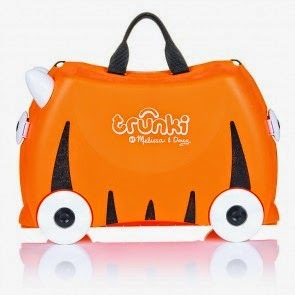 One innovative option is Trunki ($40) which is a ride on suitcase made just for kids. 4. Make sure you can find your stuff. Tie a ribbon on the suitcase handle, add a stripe of colorful Duck Tape to the side of the bag, but nothing is worse than arriving at your destination and having to hunt for your luggage. 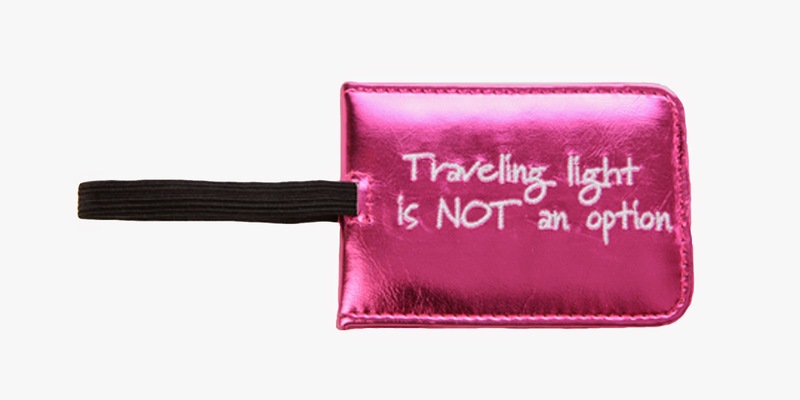 I love these whimsical luggage tags from Miamica ($5). 5. Look for discounts on museums and other attractions ahead of time. I had no idea there were so many deals if you buy tickets before you go, not to mention that a ticket in hand often means you can avoid entrance lines. CityPASS is a great deal, offering significant discounts when you purchase a book with entrance to multiple places within a single city. You can buy CityPASS online for various cities including Manhattan, Boston, Chicago, Seattle, Atlanta and Philadelphia. The price and number of attractions varies in each city, but all offer big savings as well as the ability to bypass most lines. I received a free sample of Downey Wrinkle Releaser and a Manhattan CityPASS. All other items our personal picks from years of traveling with my kids. I love the surprise balls. We travel often and this would be a great treat. Enter to win on-the-go power from myCharge! Craft Failing...Online *and* in Print!